Spring is here, so to freshen up our routines, we're taking a cue from the all-powerful, romantic rose. And while some might prefer theirs in a bouquet, we choose to use roses in skincare form. 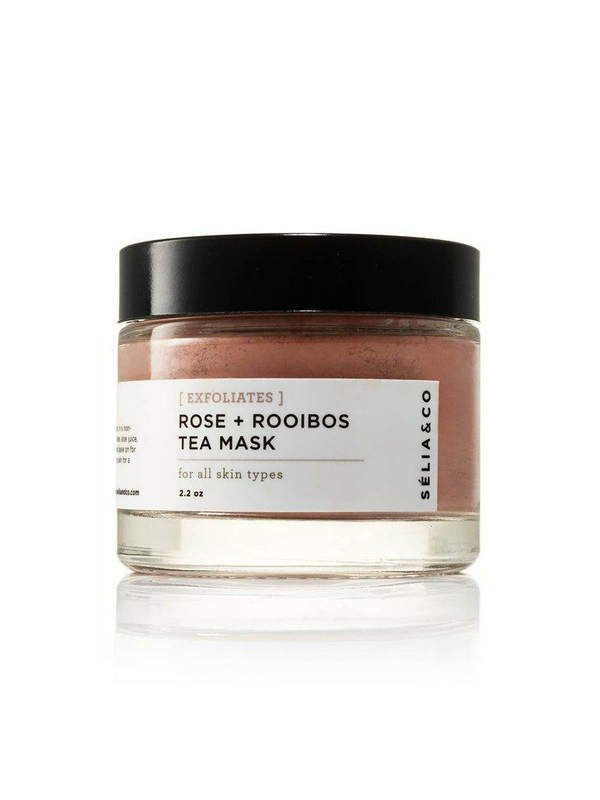 Ahead you'll find our favorite rose-infused skincare products that we love for their anti-inflammatory, antioxidant, and antiseptic properties. So, stop and smell the roses with these rosy products—you’ll be happy you did. Sahara Rose Moroccan Rose water is sourced from the Oasis Valleys in Morocco and extremely effective in invigorating the skin. This organic treatment fights aging, heals acne, lessens scars, and refreshes the skin with its instant cooling effect. You can add this to any part of your routine whether your using it to cleanse, tone, or moisturize. 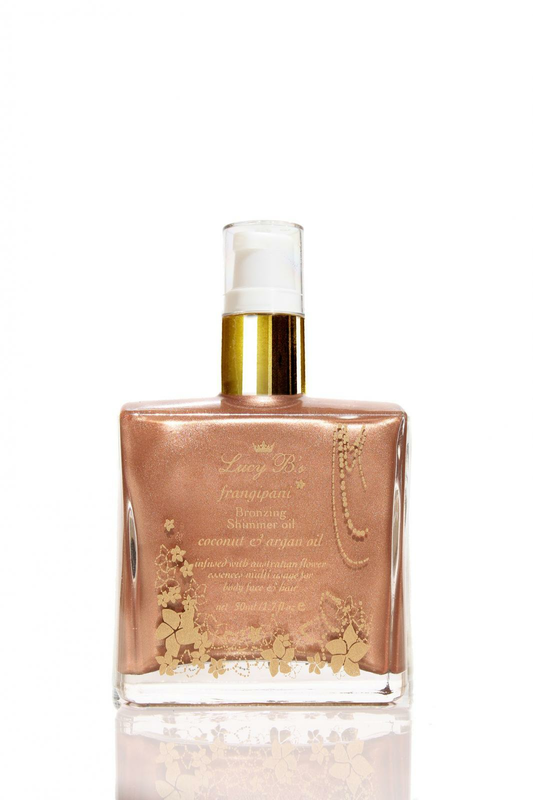 Lucy B's Rose Gold Shimmer Dry Oil infuses argan oil with coconut oil, jojoba oil, and flower essences to create a flattering luminous glow that is perfect for a night out. If your skin is feeling dry and itchy, it's time to invest in a bath milk. 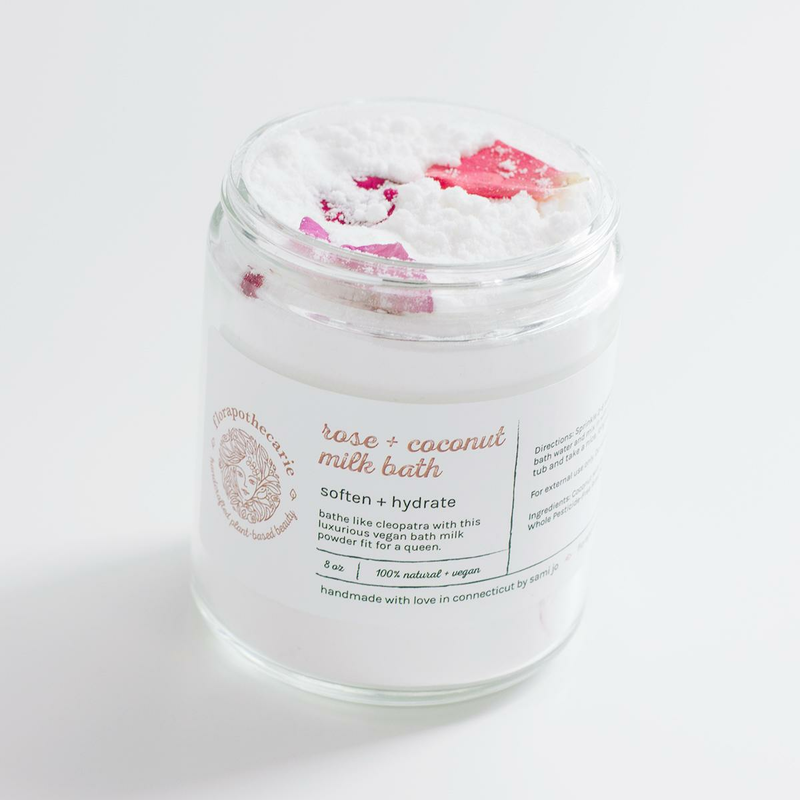 This luxurious vegan bath milk is made with finely powdered coconut milk and baking soda soften and hydrate while whole rose petals caress your skin. Awaken your skin and mind with the refreshing scent of rose and peppermint designed to restore skin's PH while hydrating with the power of argan oil and aloe vera. Peppermint fights off acne-causing bacteria while lifting your mood and providing mental clarity. Use it after cleansing, or to freshen up during the day or to set your makeup. This gentle, naturally effective treatment mask helps clear up skin, prevents impurities and minimizes the look of your pores while respecting your skin's natural balance. 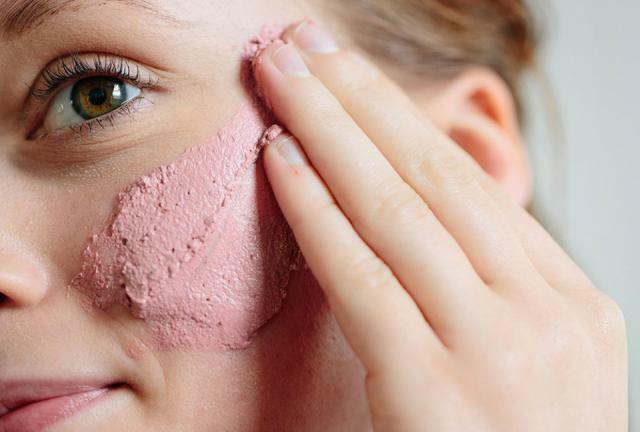 This botanical recipe includes skin-clearing White Willow Bark, rich in natural salicylates, soothing Rose Water, and calming Red Sandalwood to help fight blemishes and make pores appear less visible. Skin-softening Rice and purifying Kaolin Clay work to refine the skin’s texture. Refreshing and rejuvenating, these aromatherapy bath bombs are made with pure essential oils and sea salt. 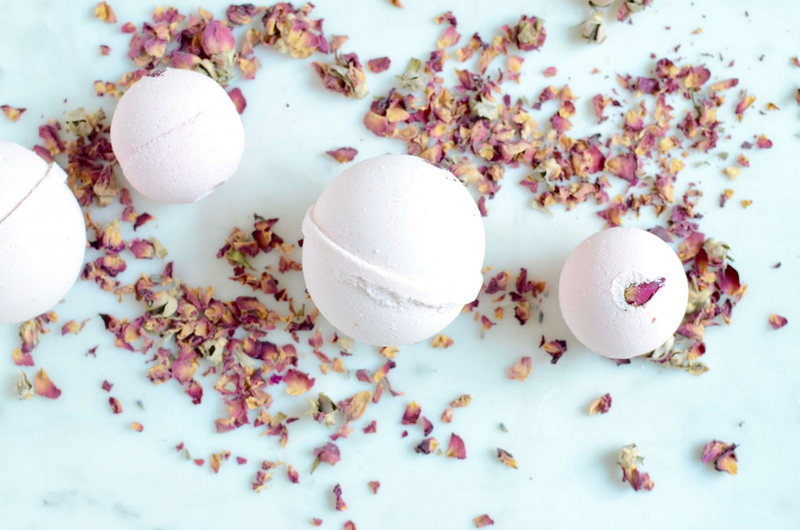 Soak yourself in a bath tub with these bath bombs to soothe your skin, improve circulation, and help you sleep better. A luxurious, paraben-free oil cleanser that actually cleanses and melts away eye and face makeup without leaving any residue! Light and indulgent, the Royal Rose Oil Cleanser removes eye and face makeup, protects, replenishes, hydrates and restores skin moisture levels with essential fatty acids, antioxidants and omega-rich squalene. Formulated to gently exfoliate and soften skin with organic rose powder. Rooibos tea is a natural source of AHA (alpha hydroxy acid) to remove dead skin cells and helps reduce the appearance of wrinkles. Rosehip, an antioxidant superfruit, is rich in vitamins A, C, E, and K. This mask will restore your skin’s health and glow with naturally occurring nutrients and minerals to battle free radicals. This body melt is formulated using age defying patented NutraLock™ technology which locks in vitamins and replenishes your skin’s ability to heal and correct imperfections naturally. This silky body melt will delight both your skin and senses. 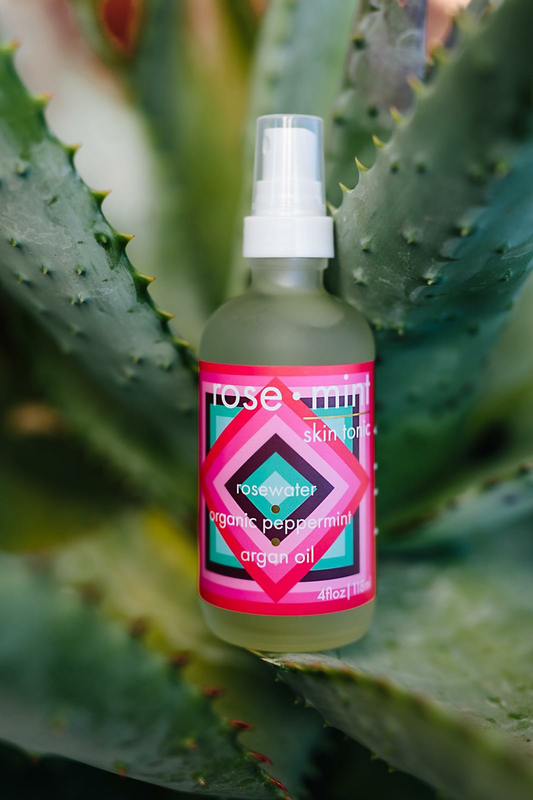 Coconut oil and jojoba oil are combined with therapeutic grade Rose essential oil that nurtures and moisturizes stressed and dehydrated skin. This deeply nourishing body butter will rejuvenate and restore dry and sensitive skin. 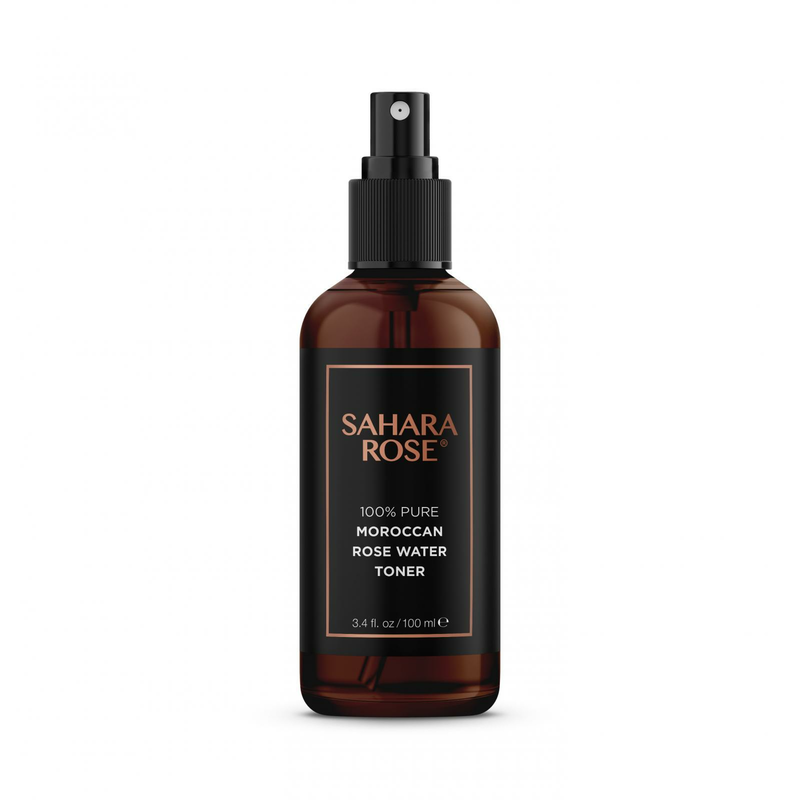 Sahara Rose Morocan Rose water is sourced from the Oasis Valleys in Morocco and extremely effective in invigorating the skin. Bathe like Cleopatra with this luxurious vegan bath milk powder fit for a queen. Finely powdered coconut milk and baking soda soften and hydrate while whole rose petals caress your skin. Comes in an 8 oz glass jar. Glass jars are easily reusable, recyclable, and (unlike plastic jars) are impervious to chemical breakdown by essential oils. 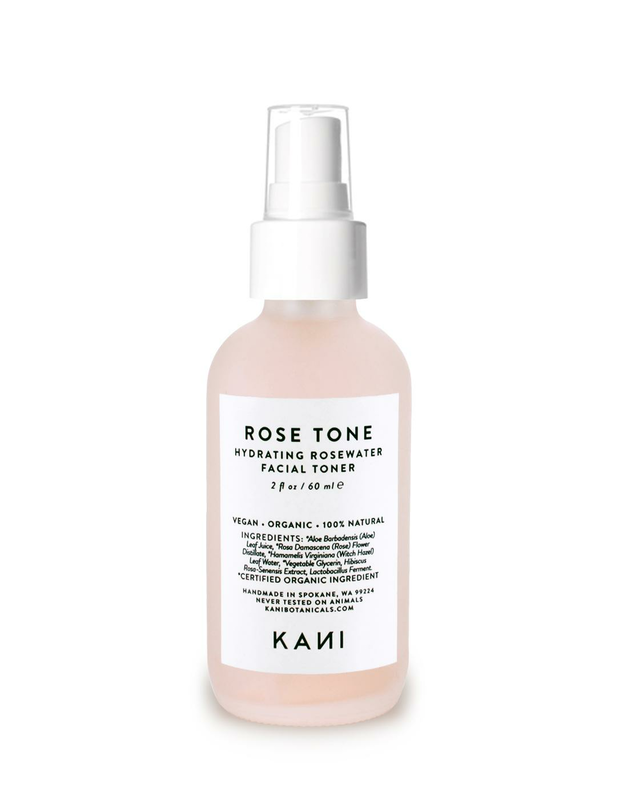 Rose Mint skin tonic is designed to restore skin's PH with rose water & hydrate with argan oil + aloe vera. 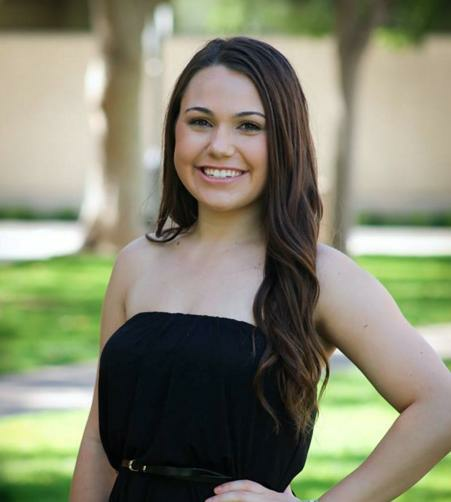 Peppermint fights off acne-causing bacteria while lifting your mood & providing mental clarity. A healthy face & well-being provided by the power of plants. 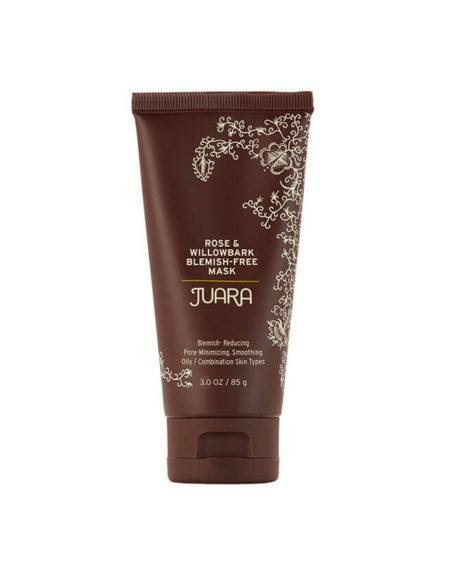 Helps clear skin, reduces redness and remove impurities with JUARA’s Rose & Willowbark Mask. This naturally effective blemish-fighting mask will not irritate or over-dry your skin, even as it helps clear existing blemishes and keep future ones from forming. Formulated for adult breakout-prone and oily skin, this botanical recipe of blemish-clearing white willow bark with natural salicylates, soothing & calming rose flower water and red sandalwood, skin-softening rice and pore-purifying clay will render skin immediately more refined with blemishes and pores less visible. Our unique formula is tough on breakouts but gentle on skin, JUARA’s Rose and Willowbark Mask will not strip or over-dry skin. Repeated use will help breakouts occur less frequently and help maintain a clearer and more even-toned complexion. Suitable for oily and combination skin types, including sensitive, breakout-prone skin. DERMATOLOGIST TESTED. 100% VEGETARIAN. FREE OF PARABENS, SULFATES, PHTHALATES, MINERAL OIL, GLUTEN, ARTIFICIAL COLORANTS AND HARSH CHEMICALS. CERTIFIED CRUELTY FREE. Refreshing and rejuvenating, these aromatherapy bath bombs are made with pure essential oils and sea salt. Soak your self in a bath tub with one of our bath bombs to sooth your skin, improve circulation, and help you sleep better. Perfect to give as gift, use it as decoration in your bathroom! They are fabulous, fizzy and fun! Use one to enhance your bath experience. Fill your bathtub with warm water, drop in the Bath Bomb and lay back to enjoy. Our mini bath bombs are perfect for pedicure or soak your tired feet. Finally, a luxurious, paraben-free oil cleanser that actually cleanses and melts away eye and face makeup without leaving any residue! 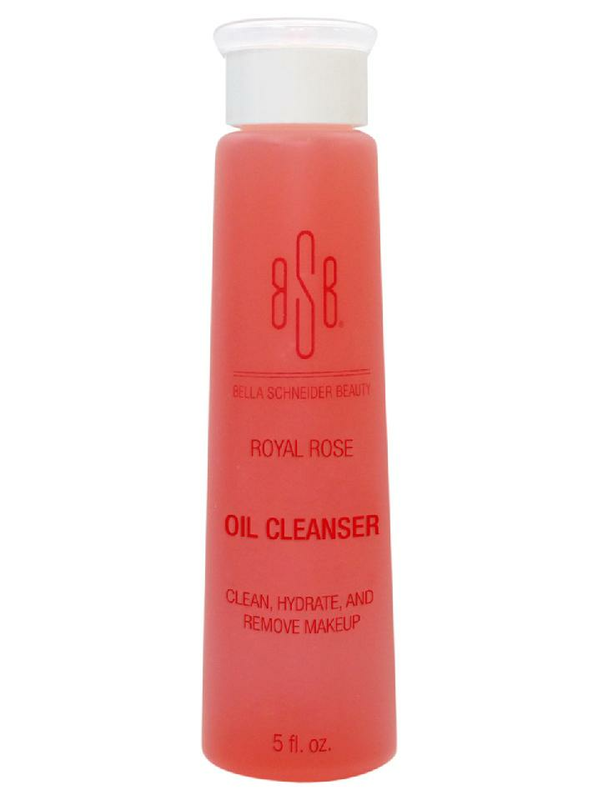 Light and indulgent, the Royal Rose Oil Cleanser removes eye and face makeup, protects, replenishes, hydrates and restores skin moisture levels with essential fatty acids, antioxidants and omega-rich squalene. Skinny Rose Jojoba Body Melt is formulated using age defying patented NutraLock™ technology which locks in vitamins and replenishes your skin’s ability to heal and correct imperfections - naturally! This silky body melt will delight both your skin and senses. 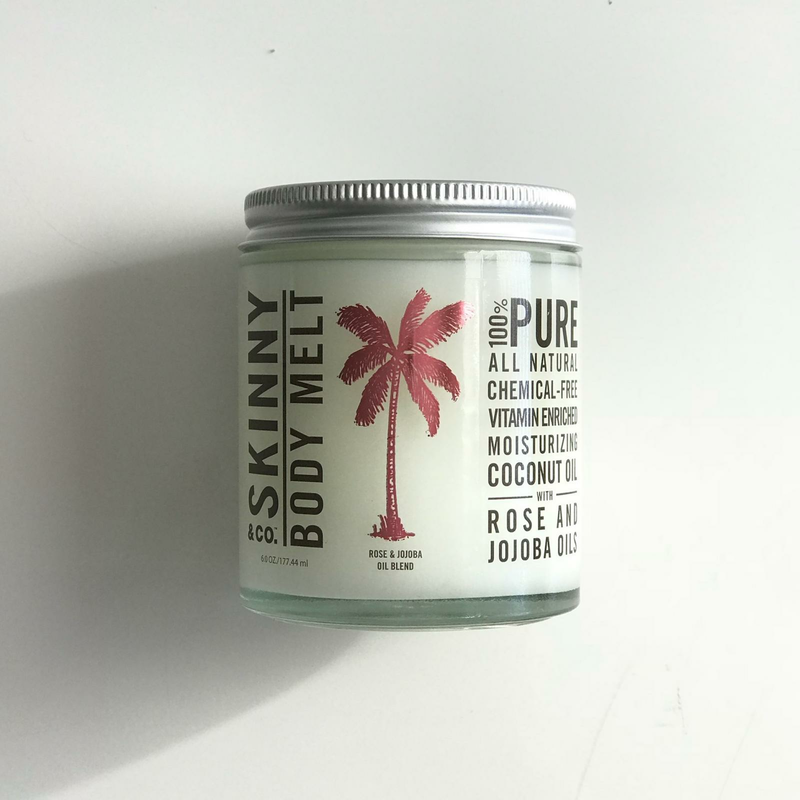 We take our one of a kind patented 100% RAW Skinny Coconut Oil, blend it with nutrient rich jojoba oil and then add therapeutic grade Rose essential oil that nurtures and moisturizes stressed and dehydrated skin. This deeply nourishing body butter will rejuvenate and restore dry and sensitive skin.